Mr. McCarthy is an associate biologist with Amec Foster Wheeler. He achieved a B.Sc. in Biology from Memorial University of Newfoundland in 1991 and M.Sc in Biology at the same university in 1996. Mr. McCarthy is currently a PhD candidate at the Canadian Rivers Institute at the University of New Brunswick where he is investigating various aspects of environmental change and fish adaptation including downstream mercury transport from the Muskrat Falls Hydroelectric Facility, fish adaptation to rapid habitat changes caused by reservoir formations, and adaptive management. He has been involved in a wide range of projects in Newfoundland and Labrador, Alaska, British Columbia and Nova Scotia for private organizations and government agencies. Projects have generally entailed the design and implementation of baseline studies, aquatic offset plans, environmental effects monitoring programs, impact assessments related to various human activities such as hydroelectric developments, oil and gas, mining/construction, and forest harvesting. Mr. McCarthy has also managed numerous biological, remediation, assessment, and water quality projects. His current projects include the Lower Churchill Hydroelectric Development, Vale Long Harbour Processing Facility, and the Government of Nunavut Fisheries and Sealing Division Research Planning. 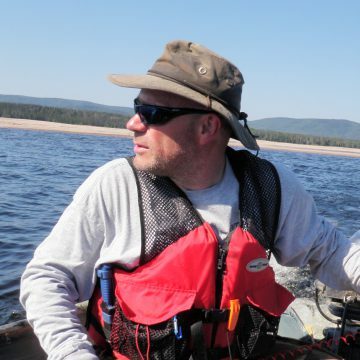 He is a Certified Fisheries Professional with the American Fisheries Society with over twenty years of experience, and a Licensed Hunting and Fishing Guide.